So the Nintendo Download update has been a little later than normal this week for Europe, possibly due to the sudden delay of Flipnote Studio 3D. Nevertheless, there are a few new titles to consider as well as a lot of discounts, so without further ado let's get right to it. Cloudberry Kingdom (Ubisoft, €9.99 / £7.99) — Developed by small developer Pwnee Studios, this began life as a crowdfunded game on Kickstarter before Ubisoft was suitably impressed to step in and publish. 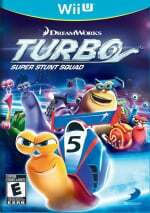 It's a platformer that can randomly generate stages, and features an Arcade mode to cover a range of difficulties, right up to levels that look positively impossible for all but the most skilled players out there. With online leaderboards, a level builder and lots of running and jumping, we'll see whether this mixes it with the best on the Wii U eShop in our upcoming review. Harvest Moon (MarvelousAQL, €7.99 / £5.49) — Though the series has recently returned to life on the 3DS Virtual Console, this Super NES version is where the series began. This simulation RPG tasks you with managing and improving your farm, which requires plenty of effort and attentive care. Despite a premise that some may consider to be dull, it's a series that's delivered to a loyal fan-base for many years, all based on this 16-bit template. We'll work the land on the Wii U, but until then you can check out our Wii Virtual Console Harvest Moon review. 10-in-1: Arcade Collection (Gamelion, €1.99 / £1.79) — It's safe to say that any release offering lots of games in one package causes some hesitation, but that doesn't mean they can't be fun. This particular collection is focused on retro games, with retro 8-bit art and sound to accompany some old-school high score chasing. We'll dig out our rose-tinted specs and see how these "new old" games stand up. Plenty of discounts and a new Wii U eShop title stand out this week, but let us know what you'll be picking up in the poll and comments below. Shin'en keeps discounting their games, first in NA, now Europe, seems to me like they are struggling for sales a bit. Hmm... pretty disappointing, still no 3D Sega Classics. Still, I'll probably pick up Nano Assault EX now it's discounted. I'm intrigued by Cloudberry Kingdom, but truth be told the random level generator puts me off. I love well-designed platforming stages full of tricky sections and hidden secrets (see: Donkey Kong Country), but I feel that level of stagecrafting just isn't possible when everything is random. Might still give it a go, but I guess I'll wait for the reviews to come in first. I'm still busy playing Animal Crossing, don't need to purchase anything from the e-shop for a good long while. As soon as the new Zelda is out, however, I shall throw myself over it like a pack of hungry Tory MPs in parliament. Gardenscapes and Murder on Titanic not discounted in UK? Nope. Nothin' for me, I guess. But when Flipnote makes it here... oh, yes, I'm gonna download the [expletive very deleted] out of it! Never played Harvest Moon but have heard lots of good thungs about it over the years, inckuding when it launched.. Might pick it up. Why oh why oh why oh why oh why oh why oh why oh why oh why oh why oh why oh why oh why oh why oh why oh why oh why oh why oh why oh why oh why oh why oh why oh why oh why oh why oh why oh why oh why oh why oh why oh why oh why oh why oh why oh why oh why oh why oh why oh why oh why oh why oh why oh why oh why oh why oh why oh why oh why oh why oh why is there STILL no Cave Story+ for PAL Nintendo/Nicalis? STILL no news on Sega's 3D classics on 3DS!!!! I'm dying to spend my money on Shinobi III! I could use some help with my decision about Nano Assault. For Wii U or 3DS? I would prefer the Wii U version since I'm low on games but is it worth it? I honestly would like to get my hands on this Cloudberry Kingdom because of the difficulty lvl and randomly generated lvls. Not a thing for me, I already own most of Shinens games anyway. I'll keep an eye on 10-in-1: Arcade Collection but, other than that, a pretty terrible week. Lots there, nothing to really get excited about. Cloudberry perhaps, but it has been hyped as a stupidly hard game. I do prefer the easier games. Funky Barn price reduction when Harvest Moon appears. Coincidence? Cloudberry looks like great. Nano Assault Neo is a fun little game, definitely worth supporting. Cloudberry Kingdom is less about skill and more about complete level memorisation; since the screen is usually filled with stuff, and figuring out where to jump makes it more of a puzzle game than a Platformer in extreme difficulty. Definitely not picking that one up. @ToniK Get Neo for the Wii U, then decide if you want the 3DS game as well. Nano Assault for 3DS will finally come my way. Ok, thanks It's cheaper too. So yeah, that's what I'll get. Did you guys forget to add Pikmin 3 to the list? or is this list only for Europe? Nice to see the idiots at 505 realize that Funky Barn is the equivalent of an eshop game and lowered it to the price it needed to be at in the beginning.... I still can't believe they sold that game for $60 back in November. Every week I hope for super mario kart, or anything from the N64. I wonder if we will have any N64 games in time for the wii u's first birthday? I thought Flipnote Studio 3D was releasing this week? Nano Assault Neo is a great game. I wish it were on discount when I got it near the the launch of Wii U.
Nano Assault 3DS for me this week, shocking that there's only 1 VC release between the WII U, WII & 3DS! Get a grip Nintendo. Not a Harvest Moon fan, and Cloudberry Kingdom's randomly generated levels has put me off. Unless I go back and buy Kirby's Dream Land 3, it'll be nothing for me this week. Cloudberry Kingdom has been on my radar for a long time. Well, one can really be satisfied with the WiiU eShop in the past couple of weeks. Harvest Moon in especial is a great release, but I have it on my Wii VC already. If only this time they'd release Harvest Moon 64... Imo the best entry in the series, but I could always only play it on an emulator, as it wasn't released in Europe. I can't wait for Cloudberry Kingdom to finally come out! I'm also gonna pick up Earthbound while I'm at it. @element187 Let me take you to da da da Funky Barn! Funky Barn is a good game, it's fun and addictive. for the price I think it's a good pick up. @Prof_Elvin_Gadd Been there done that, rented it for the wife. Because one just can´t say this enough: where are N64 games? Bring those to eShop already. I agree with Funky Barn. Old game yet they ask full price? I bought it for 3DS just because I got it for 9€ and that's pretty much I was willing to pay. But nothing for me this week. @DavidHolliss Your not the only one, I enjoyed Fun Fun! Mini Golf too. @Prof_Quackton i've been waiting for a sale on nao for ages. Oh man, I don't know if I can pick up that Harvest Moon game. The hours I spent as a kid trying to woo Nina (unsuccessfully, I might add)... It gets pretty tedious going through the daily chores if I remember rightly. Cloudberry Kingdom is a definite, second-it-hits-the-eShop purchase for me. I'm totally hyped. If Harvest Moon drops on Thursday for North America, I'll definitely get it, although I got it on Wii so that's just a $1.50 purchase and sort of a no-doubter anyway. I'm eagerly awaiting cloudberry kingdom. I'm always up for a challenge. why cave story + for european 3DS eshop is not here? Is-it stuck in it's cave ????????? "We actually have a huge range of difficulties, we just like to show off the hardest in the trailers because it looks cool ... We have had 5 year old children easily dispatch our easier levels, and we've had grown men throwing tantrums at some of our hardest." Where the heck are the GOOD Virtual Console games like Super Mario Bros. 3? I contacted Nintendo a bunch of times about the problem, but they refuse to to talk about it. One employee said "We can't confirm that it's coming durr hurr" just to make excuses. Slackers. @Rockman_Onion Just how easy do you think it is to get these games running? Maybe they should've focused their efforts on getting the sure-selling games like Super Mario Bros. and The Legend of Zelda out sooner, but you can't click your fingers and expect it to be finished. It's a small team with a lot of extra work to do. I hope I'm not the only one but I've been waiting for a nice poker game on the 3DS with online play of course. You'd think the big names in poker would've come up with one already but no. Wii U eShop titles Cloudberry Kingdom and Funky Barn for me this week. Cave Story missing wake up Nicalis. My backlog's too big to justify anything more. I would've got Harvest Moon probably, but I'm getting A New Begining in Mid-Spetember when it's released, so I don't have any more appetite for Harvest moon just now. not sure, some interesting discounts though. I'll wait for a review on Cloudberry kingdom, e-shop trailer looked fairly good. 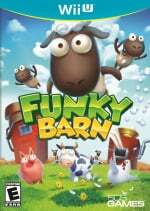 Discount on Funky Barn seems common sense, always looked like a (fairly decent) budget game to me, so i might pick it up. Anyone tried Wii U Cloudberry Kingdom yet or seen any impressions anywhere?